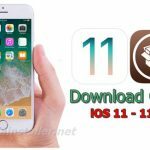 Home › Cydia iOS 10 › How to Download Cydia for iOS 11 – 11.1.2 & iOS 10 – 10.3.3 using C0F3 Jailbreak ? What is C0F3 jailbreak ? It is newly developed automatic jailbreak tool which supports to Cydia download for both iOS 11 and iOS 10. This jailbreak was developed by the C0F3 Team including Joseph Shenton and few more developers. C0F3 jailbreak is mainly based on the Ian Beer’s async_wake exploit for iOS 11 and Siguza’s v0rtex exploit for iOS 10. This is developer jailbreak for research purposes & still under developing. It will work on all 64-bit devices running iOS 11 to iOS 11.1.2 and iOS 10.3.3 devices (iOS 10 32-bit support coming soon). How to install Cydia for iOS 11 – 11.1.2 & iOS 10 – 10.3.3 on iPhone, iPad or iPod using C0F3 jailbreak ? Step 1: Backup your device with iTunes or iCloud. Step 2: Download the relevent IPA file of C0F3 jailbreak tool from above link on to your computer. Step 3: Download Cydia Impactor tool latest version on to your computer. Step 4: Connect your iPhone / iPad to computer using a USB cable. Step 6: Enter a valid Apple ID and password when it prompt. Step 7: Wait for the jailbreak app to be installed on your iOS device. Once it complete, you will see “C0F3” app icon on your Home screen. Step 8: Once it completed, go to “Settings” >> “General” >> “Profiles & Device Management” and trust the certificate associates with your Apple ID. Step 9: Open the “C0F3” app and tap on “Allow” button to jailbreak & Cydia install to your device. Step 10: Wait for to complete the jailbreak process. Finally Cydia will be seen on your device Home screen. That’s it, now you have successfully installed Cydia on your iOS 11 – 11.1.2 or iOS 10 – 10.3.3 running iPhone, iPad or iPod using C0F3 jailbreak. Please note; Cydia is still not fully working on iOS 11. Once it update Cydia for iOS 11 by the Saurik, you will be able to use Cydia with its’ fully features. 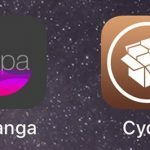 How to download Cydia for iOS 11 – 11.1.2 using Topanga jailbreak ? 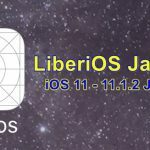 Jonathan Levin released iOS 11 – 11.1.2 LiberiOS jailbreak for all 64-bit devices ! 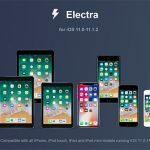 Electra Jailbreak with Cydia for iOS 11 – 11.1.2 Released! How many minutes needed for jailbreaking process once “C0F3 requires absolute silence while jailbreaking!”? Iphone 7 Plus with 10.2.1.
simply restart your device and run the C0F3 app again.